I love to barbecue. There is something uniquely gratifying about preparing foods over an open fire. In a few recent articles in this series I’ve touched on rosé wines and light wines for the summer, plus some great sangria recipes, but now I’d like to talk barbecue wines. When I think about barbecue, I think about slowly cooking moist sweet-savory meats over a hot coals, and my mouth begins to water. I can imagine myself standing near the grill, the smell of smoke combining with the fresh outdoors. These are exactly the same feelings that a barbecue wine should evoke—a kind of primordial revelry. Any winery can say that their wines are great with barbecue, but what you want is an unforgettable barbecue experience. That means finding a wine with several crucial flavors that pair well with the meat (or any thing else: vegetables, tofu, cheese, etc.) that you might put on the grill. The crucial flavors to look for in a great barbecue wine are sweetness, savoriness (umami), and fruitiness. Those qualities lead me to a few key points in the wine market and in particular to very specific wines. 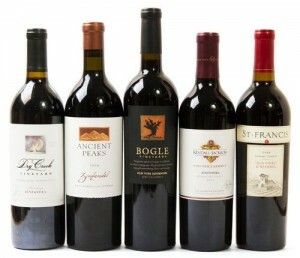 American Zinfandel is a hallmark barbecue wine. Not only is Zinfandel jam-packed with luscious flavors of fruits and spices and opulent soft tannins, it’s one wine that almost always tastes sweet. Zinfandel typically has some residual grape sugar that did not ferment. Part of the reason behind Zinfandel’s sweetness is its difficult ripening schedule. The berries of each cluster ripen at different speeds. When it comes time to harvest, some grapes may have a potential alcohol level of 20% where others only have a potential alcohol of 12%. 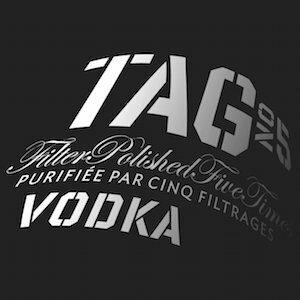 The resulting wine has an average alcohol of 16% and this is where most fermentation yeasts stop working, leaving unfermented sugars in the finished wine. 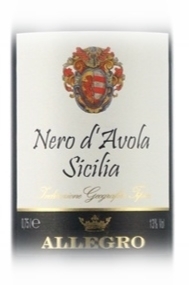 The northern Italian wines Dolcetto and Amarone are two of my favorite barbecue wines from Europe. Where Dolcetto pairs great with elegant-styled barbecue meals (featuring vegetables and white meats, real silverware and cloth napkins), Amarone’s tannins and high alcohols create a wine with a streak of wildness that tastes great with game and lamb recipes. For barbecue recipes that include marbled meats, sausages, and hamburgers—which have a higher fat content—or for those who prefer drier red wines with more structure and less perceptible sweetness, I suggest trying Spanish Tempranillo and Sicilian Nero d’Avola blends. Not only do the wines listed above feature incredible concentrations of fruit, variations in tannins and acidity, they tend to be made with a measured use of oak. Wines that are aged in oak connect the aromas and flavors of toasted barrels—vanilla, spices, smoke—to that of the main entrée. 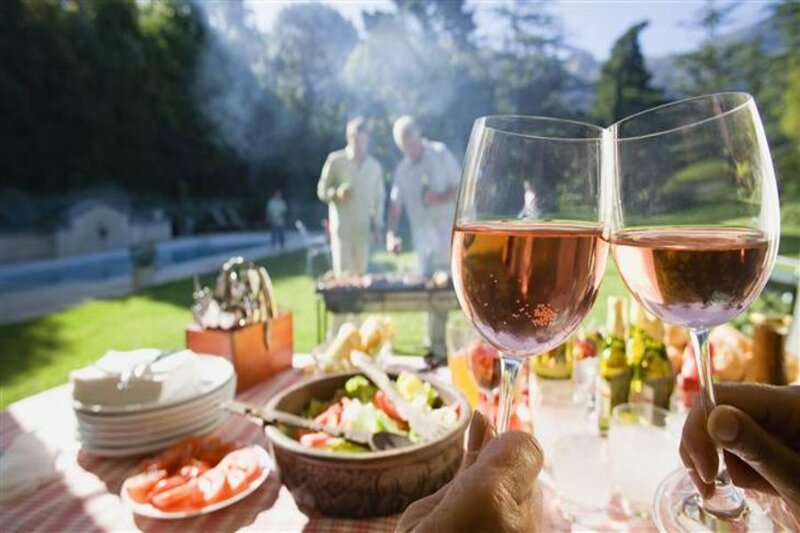 For barbecue that focuses on lighter meats, fish and vegetables, several white wines are tasty enough to convert even the most steadfast red-wine devotees. 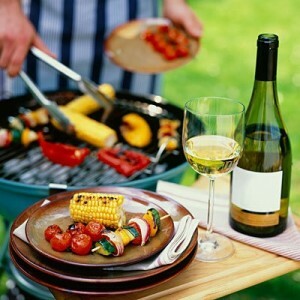 The white wines I use for barbecue meals usually have some sweetness to them. 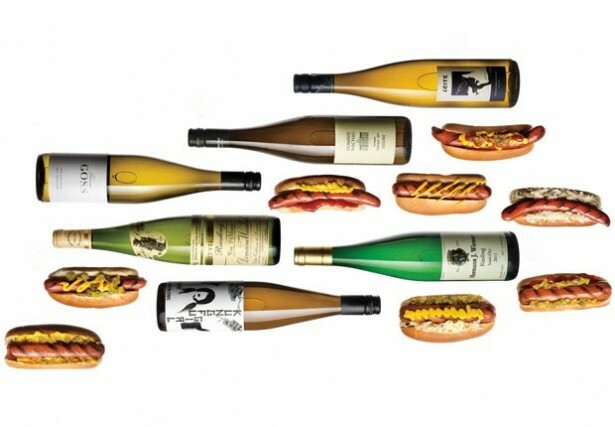 German Rieslings (spatlese or auslese styles) feature delicious fruit with a succulent, mouthwatering palate. Alsatian Gewurztraminer has an incredible bouquet of aromas, and a wonderful sweet and spicy profile. Similarly, Spanish Albariño, Argentina’s Torrontes, and Greek Moschofilero have captivating aromas and flavors that send your standard white wines back to the refrigerator.